Refrigerant is a fluid mixture that is used in HVAC systems, one that has a heat pump and refrigerant cycle. It is common throughout cycles for it to transition from liquid to a gas and back to liquid. Working with refrigerant can make some people, if they are not a certified HVAC technician, uncomfortable. In fact, each state has different laws regarding what unlicensed homeowners can do with refrigerant. The U.S Environmental Protection Administration has laws in place regarding licenses. However, there are no federal laws instructing what a private citizen can do with their own AC. It is normal practice for a refrigeration supply company to not sell refrigerants or other regulated supplies to unlicensed people. 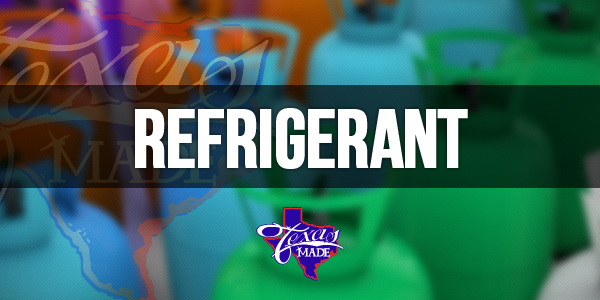 If you find an online source to buy refrigerant, be careful, as it may be an illegal source. Remember to not mix together different type of refrigerant, and some refrigerants must be transported and managed as hazardous waste. There are rules and regulations on how to dispose of refrigerant properly. If you decide you want to recharge the refrigerant in your air conditioner, here are some steps to follow. Be sure to shut down your AC unit. There will be hoses coming from the gauge manifold, attach them to the AC’s pressure ports. Normally, the high pressure hose is red and connected to the liquid line. The blue hose is the low pressure hose and connects to the suction line which is the larger pipe. Switch your AC back on and allow it to run for fifteen minutes so the system can charge up. If you AC is still experiencing problems and not running cool, it is probably time to call in a certified AC tech to do a once over and perform maintenance on the system.